Star bond manager Jeffrey Gundlach roused Altegris conference attendees with a bullish call on long-term bonds, poised, he says, for a melt-up. The housing bulls are wrong, Jeffrey Gundlach told Altegris attendees. The paean to U.S. bonds was a rare bright note in a markedly sober analysis of the woes of the U.S residential real estate market, which was the main subject of his address to more than 600 investment professionals meeting at the alternative investing firm’s annual conference in San Diego. Noting that shorting long bonds was a popular strategy last year, Gundlach called long-term Treasuries “cheap” in a fixed-income universe of which Gundlach had little good to say. “We are not positive on the relative value of investment-grade corporate bonds,” which have retraced a route back toward peak values, the DoubleLine manager said. He also called municipal bonds “overvalued” compared with Treasuries, but did express enthusiasm for emerging market bonds. When those securities tanked in last year’s emerging markets mayhem, investors asked who would buy them again. Gundlach’s answer is that pension plans will, for which reason he remains bullish on the volatile bonds. But in a world where investors earn just 2.9% on a Spanish 10-year bond, Gundlach argues that safe and high-quality 30-year U.S. bonds should not be yielding 3.4%. “I think long-term interest rates will fall in 2014… the 30-year Treasury rate may have already peaked,” he said. The DoubleLine manager sees the 10-year Treasury, which he says “has a massive resistance point at 247 [basis points]” as the key signal. “If it gets broken I think the melt-up starts.” The 10-year bond hit 254, or 2.54%, on Wednesday, close to Gundlach’s target. Gundlach’s bullish bond call was a welcome respite in a lengthy refutation of housing market bulls who argue that it is now time for pent-up demand to re-energize a sector that has yet to return to its former glory. Gundlach called this thesis “overbelieved,” and offered numerous refutations — firstly disputing the notion that U.S. consumers have deleveraged and can now start borrowing again. Gundlach says private and public credit stands at nearly $60 trillion, an all-time peak. “There’s not going to be a resurgence of new borrowing,” he said, adding that levered-up consumers have already “destroyed their credit” and are not likely going to be able to obtain large loans. 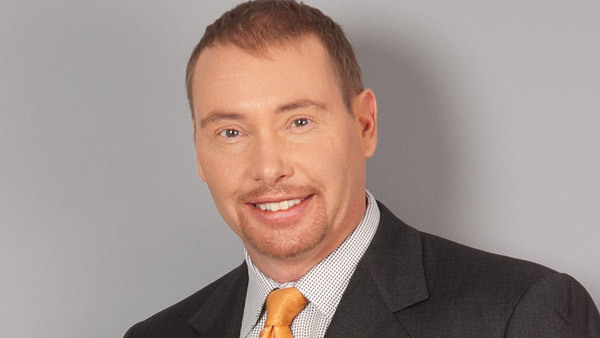 Gundlach also noted that housing today is heavily supported by second-liens, now at a peak, indicating that consumers have limited resources with which to invest in the sector. Much has been made of the surge of cash buying, now responsible for more than half of residential real estate transactions. That’s not a wholesome sign for housing, but worse, Gundlach says major investors like Blackstone are no longer buying at anything like their previous pace. Meanwhile, existing home sales have fallen rapidly to exactly where they were at the depths of the recession — and that’s with all the new pools of money, he says. New home sales have fallen back to 2012 levels, “little different from their level at the absolute depths of the recession,” he said. Moreover, the mortgage purchasing index has been trending lower since last year, and the uptrend in housing starts is “probably not good given the slowing sales in new and existing home sales,” he added. Gundlach’s most vociferous assault on housing perma-bulls centered on their presentation of what he called a “ubiquitous” affordability chart he argues is completely misleading. The reason is that more than 70% of mortgages prior to the recent housing bust were financed with option adjustable-rate mortgages. Thus, when looking at the actual monthly payments one would make at today’s low rates versus those made at higher rates before the housing bust, affordability is actually worse today because bubble financing allowed homeowners to make smaller interest-only or teaser-rate payments. Other factors undermine the housing rebound thesis. On top of the dreary data Gundlach added some dreary demographic trends. Millennials are increasingly living with their parents, in part because 40% of recent college graduates have jobs that don’t require a college degree or have no job at all. He notes that student debt delinquencies are on the rise as well. Moreover, surveys reflect a massively shifting preference toward renting over owning, across all ages, geographies and population density. Gundlach notes his wealthy dentist to the stars told him he lacked sufficient funds for retirement and planned to sell his home and move into a smaller place. So, with falling incomes and a trend toward rising rent, a cultural shift whereby millennials don’t feel the same burning desire to move out of their parents’ homes as boomers did, and even boomers needing to downsize, “there’s going to be a lot of home selling in the coming years,” Gundlach says. “I’m going to make a bold prediction that for the rest of my career we’re never going to see one-and-a-half million housing starts again,” the 54-year-old portfolio manager said.